I’m not going to lie – I caught myself saying to myself, “my solar electric system is not saving me as much as I expected.” That doesn’t sound good for a solar guy to be saying that! When I installed my solar electric system last December, I was looking forward to having nearly net-zero house (which will be possible after I replace my aging air conditioner). My net-zero aspirations have not come to fruition, so I started searching for answers why. The first step was to look at my system energy production using the monitoring system. Sure enough, everything pointed toward a well-operating system. I was, indeed, producing the power expected over the days and months I analyzed. So why did I just get an $80 electric bill (down from $200 last year) when I expected something closer to $40 in September/October? My solar electricity production during the time-frame of my last electric bill. Note that panels on the right side have been significantly impacted by shading from trees. After thinking about it, the answers started coming to me very quickly. When I installed the system I told myself that I would need to do some serious tree trimming to avoid shading, and I never did it (I had some trimming done, but not nearly what I knew was necessary for optimum production). My wife and I started setting the air conditioning on 73ºF all the time, and rarely remember to turn it up when leaving the house. This is much cooler than we previously kept it, and we are complacent/wasteful about it now. I extended my pool pump run time for convenience, making my pool a little easier to keep clean, but using extra energy. My landscape lighting now runs from dusk to dawn instead of 4-6 hours each night. For a little extra security, I keep my two pool lights on all night now (until 5am). We are downright wasteful with hot water usage (longer, hotter showers). I turn on about twice as many indoor lights in the evening as I previously would. For convenience, I leave my computer on 24 hours a day, and I recently upgraded my power supply from 400W to 800W to support the graphics card for my larger monitor. I also leave my dual monitors on (although they go to sleep after 15 minutes). I’m more likely to preheat the oven or start water boiling far before needed for cooking. 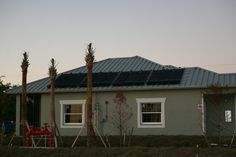 Basically, I was spoiled by the low electric bills that came soon after I installed my solar electric system. I became lazy… wasteful. Solar electricity is not just a money saving investment – it’s a luxury! I now enjoy less stress over turning out the lights, and love looking at my well-lit backyard vegetation at night. The pool looks awesome when illuminated. I’m more productive when sitting down in my home office. We are cool all day and night, even right when returning home. Convenience and happiness have trumped saving money. The most frequent and obvious issue I see is when people say they will keep trees trimmed, but don’t follow through or become complacent over time. It definitely happened to me! This applies to all kinds of solar energy, including solar electric, solar pool heating, and solar water heating. Shaded panels don’t perform as well. As for the other energy use questions, it’s much harder to quantify, since most homes don’t have energy monitoring equipment that tell you what’s using energy in your home. 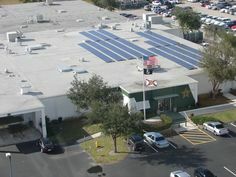 Your utility company can only tell your the total amount of energy used, or in the case of a home with solar electricity, the net amount used from the utility company. I equate this with what happens after many people get a speeding ticket. For a while, they are very careful, following all of the traffic laws, making sure they don’t have another embarrassing and costly incident.¹ Over time, however, complacency sets in, and the lead-foot comes out again. If you are accustomed to an electric bill at a given level, you are accepting of that level and tend to gravitate back toward it. ¹ Based on my brief research it’s actually been shown that recidivism rates for speeders are high – speeders are no less likely to get another ticket compared to a control group. See http://www.ncbi.nlm.nih.gov/pubmed/17366333. I think most of us believe we are more careful, nonetheless. 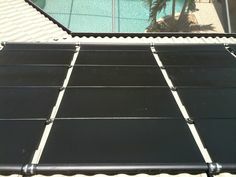 Next Post: Do FAFCO Solar Pool Heating Panels Rot the Roof and Cause Mold?